On a cool brisk morning at the end of the fall season, a pack of young girls steps up to the line. Nervously awaiting the moment for which they have spent weeks training, a starting pistol fires, and they’re off. Of these runners is nine-year-old Abby Maloney, who is running side-by-side with her mom and biggest supporter, Missie Maloney. The pair is running in their third 5K together. This time, Abby Maloney will run the entire distance, an accomplishment she never dreamed possible just a few years earlier. “Her health was holding her back from many activities that she loved,” says Missie Maloney. Diagnosed with Celiac Disease when she was five years old, Abby Maloney suffers severe stomach pain and is often left feeling fatigued. While the illness took a toll on her body, her family’s cross-state move from her hometown of Ann Arbor, Mich. to Fort Mills, S.C. took a toll on her confidence. A new town meant learning a new school and finding new friends – a daunting experience for any kid. It wasn’t long before Abby Maloney and her mom discovered Girls on the Run, an after-school running club for girls between the 3rd and 8th grades. 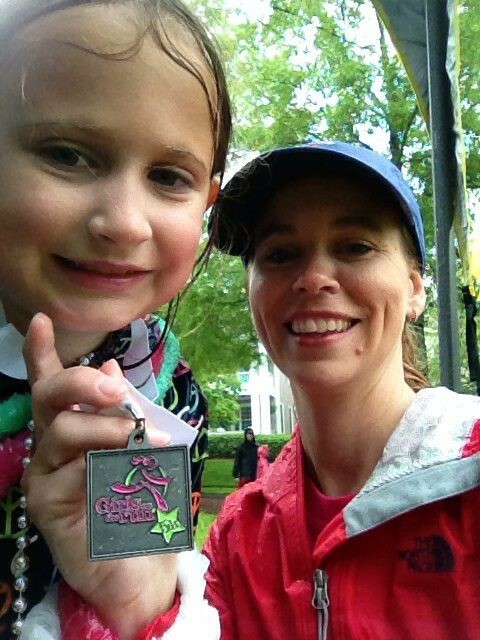 The organization trains young girls to run 5K races, but aims to teach them much more. 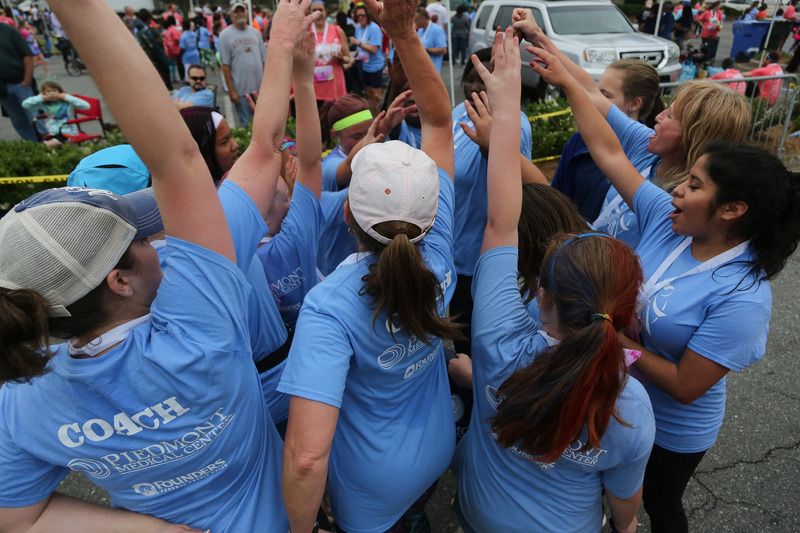 “It’s a place where girls learn that they can do anything they set their mind to,” says Lindy Morris, director of Girls of the Run in the “Tri-County” region of South Carolina. “We became each other’s constant source of encouragement,” says Missie Maloney, who would talk to her daughter continuously throughout the run to distract Abby from her growing exhaustion. While a pool of candy is still on Abby’s wish list, she’s checking one big accomplishment off of another list: finishing her first 5K. 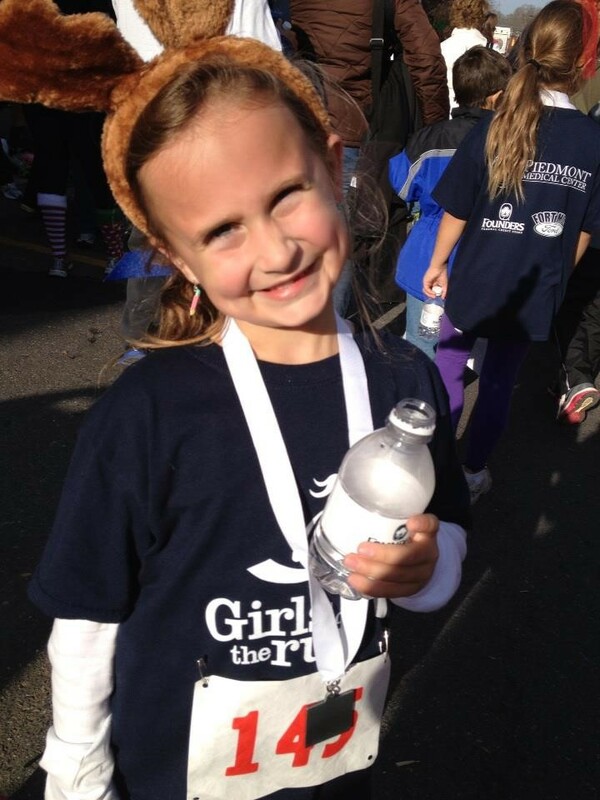 For Abby Maloney – and other members of Girls on the Run – the 3.1 miles to the finish line is just part of the journey. The nonprofit combines race training with curriculum that has more to do with the girl running than the race itself. ““It’s an empowerment program,” says Morris. The program encourages girls to pursue their dreams on and off the track. 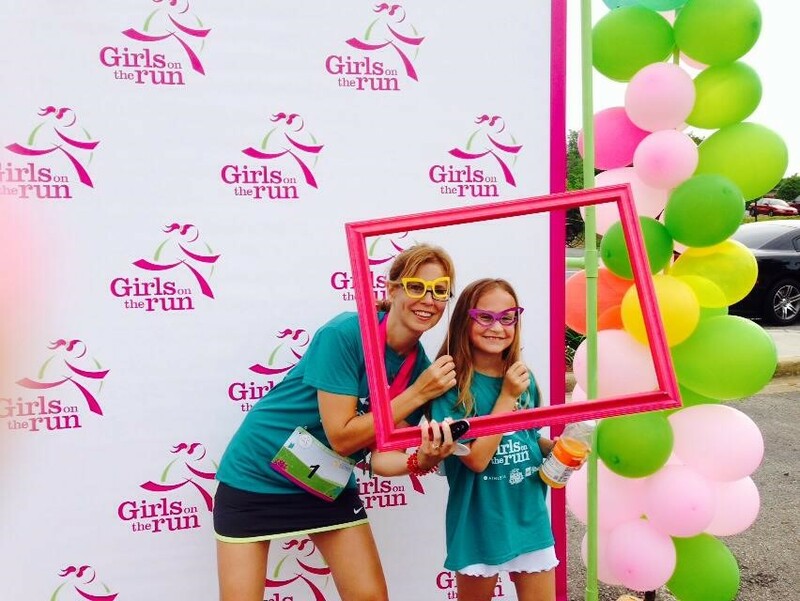 Girls on the Run, which started with a single running program in Charlotte, North Carolina in 1996 and has expanded into 200 locations across the country, served more than 185,000 girls in 2015 alone. “We want to inspire girls to become independent thinkers, enhance their problem-solving skills and make healthy decisions,” Morris says. Through running, girls learn how to set and achieve a goal. But that’s only part of the course. They also meet twice a week in small teams to learn life skills, including teamwork, community service and the value of relationships. And they learn to spread the positive messages throughout their networks. One of Abby Maloney’s favorite activities (other than running) is an annual community service project that takes aim at one of the most troubling parts of childhood: bullying. Her team confronted the issue in a common bullying battleground: the school bathroom, where students are often able to gather outside of the watchful eye of adults and pick on their peers. 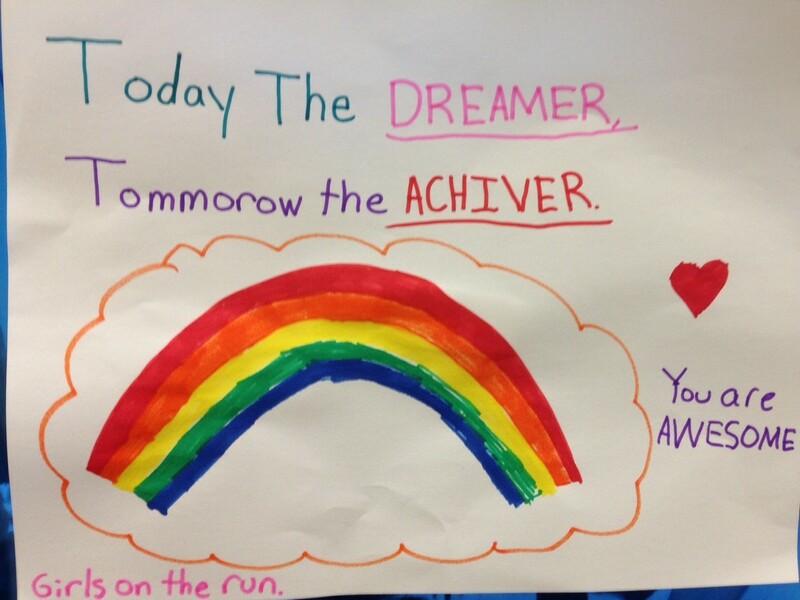 To encourage kindness, the girls hung posters with compliments and other kind messages. While her school was abuzz about the girls’ act of kindness, the organization’s track record is getting its fair share of attention in the local community as well. “I’ve watched the impact Girls on the Run has made in our local community, and I wanted to do something to fuel their efforts,” said Michael Crosby, local franchisee of Chick-fil-A at Baxter Village in Indian Land, South Carolina. Crosby nominated the Tri-County council of Girls on the Run for a Chick-fil-A Foundation True Inspiration Award, an honor given to approximately 20 nonprofits nationwide each year. Part of the honor includes a grant, ranging from $15,000 to $100,000. The Tri-County council of Girls on the Run received $75,000. Abby Maloney is already doing just that. While each girl is unique, there is one thing about them that is the same: nothing is holding them back. To locate a Girls on the Run council near you, search Find a Council on their website. Do you know of a deserving organization working with children and youth? Applications are now open for 2019 True Inspiration Awards. Encourage them to apply today. Donnita Travis had built a successful career as president of a Chicago advertising agency. But, she wanted to do more for the children in her city.